Jeanelle and Aaron Mossburg are perhaps the finest established violin/viola duo in Cleveland as of late! Both are incredible instrumentalists in their own right, and their unique relationship (yes, they are newlyweds!!) makes for some fantastic collaboration and creative programming. 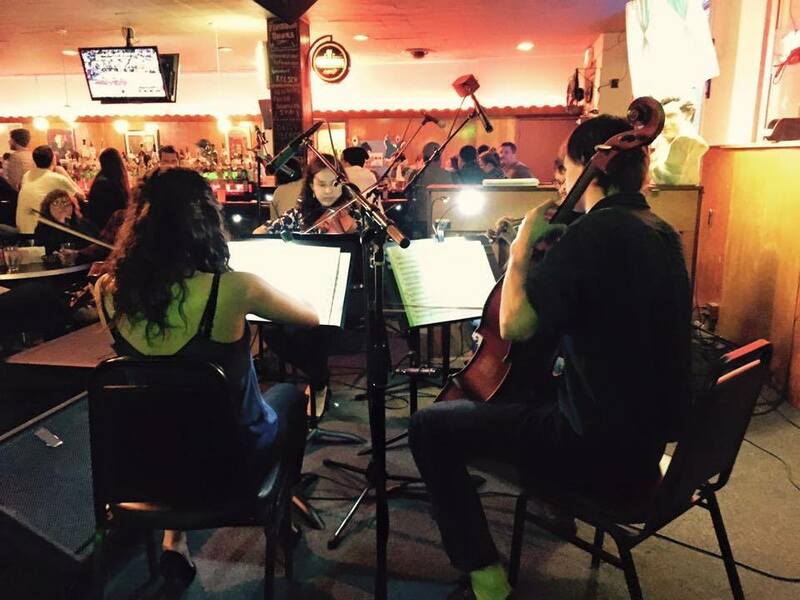 Cleveland may not be their permanent stop on a lifelong journey through the world of classical music, but we’re incredibly fortunate to count them as colleagues, friends, and Classical Revolution Cleveland comrades in the meantime! Howdy! Who are you? Where are you from, originally? When and how did you form as an ensemble? Jeanelle, here: “I am originally from Gilbert, Arizona and Aaron is from Fort Wayne, Indiana… but we consider ourselves Clevelanders now and we always look forward to coming home to Ohio! Now it’s Aaron’s turn: “We are fortunate to be able to work as a team on everything from performing, to teaching, and community outreach projects. The longer we’ve been together as “The Mossburg Duo” (thanks to Classical Rev CLE for the name!) the more mutual connections we’ve been able to build which have definitely lead to some pretty neat opportunities. We enjoy going out into the community and beyond both as individual performers and as a couple – it adds a bit more of a personal touch to our connection with members of the community when they ask us about our story. I come from a very musical family, so it’s also great to be able to go home and perform alongside Jeanelle and my family in different parts of Indiana. Now for the both of you: What are your favorite/most affirming aspects of freelancing at this time in life? The best part of being a duo has to be the diversity and the stories behind all of the different gigs. Everything from a rock and roll gig in Cleveland to yearly folk music concerts with a band in Arizona, playing in family weddings to playing in an orchestra together in the Dominican Republic, it all makes for such great memories. We love to go camping and biking, and we’ve fallen into the habit of spending our free evenings on the porch with our cat and a couple of good books. We love Cleveland for its people, its diversity, and its love of the arts. There is never a shortage of inspiration to be found, whether it’s through our colleagues, exploring new venues, or just meeting new people… there’s just so much enthusiasm for classical music in this community and it makes for a wonderful place to be freelancing musicians.